How do you go back to catching river fish in the English winter, when you've experienced those monsters in fishing paradise? The truth is I'm just as happy creeping about on small rivers or heading out into a frosty morning in search of a pike. Thailand offered fantastic exotic species that I normally wouldn't get to fish for, but I'm under no illusion, they have been put there to be caught - they still try to pull your arms off and it's an experience every angler should have. I love trying to find a wild fish, a pike or barbel that was born in the river and is perfectly adapted to thrive - and will often be too clever for me! The ideal situation would be to go and fish for those exotic monsters in their natural environments (and if I won the lottery or invented the new Angry Birds I would). On Saturday I headed down to the local river for a couple of hours rolling meat. Autumn is here and trees have turned orange, the nights are closing in and it did rain a couple of times. I caught a chub and a small barbel - and I loved it! Fish is fish and fishing is fishing. What a great attitude to have. Welcome back. 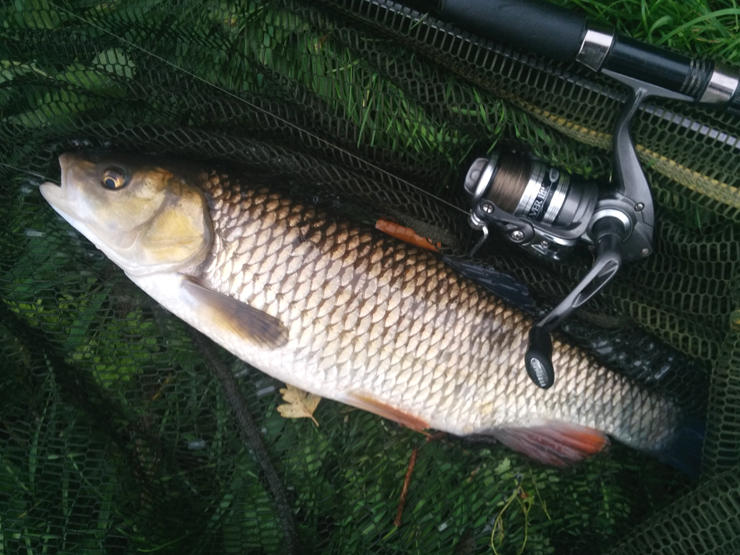 What you experience abroad is one thing, coming home is the truth and a chub and a barbel are as good as it gets. Thanks - Already looked through a few including that one. Best try and catch a pike before going after more exotic monsters!